As I write you back in a neck brace – it wouldn’t surprise me if you receive more comments on this blog than anything you’ve ever written about. One of the real hidden dangers of this is the chronic pain waiting for you at the point in your career when you’re doing what you absolutely love and finally getting paid for it. Sad. I need someone to just tell me what chair to buy. And that someone can’t be a salesperson! It is ovewhelming the number of chairs out there. I have an exercise ball, but it’s just too distracting to sit on. I have an ergo chair, but I always find myself sliding down into. I can’t feel my 4$$! 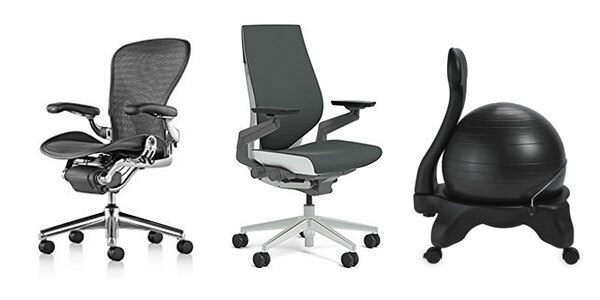 As mentioned, I’ve got a Steelcase chair and like it a lot. However, as I said in the article, I also have a tendency of slouching in it. A big part of the problem with sitting is that it doesn’t really engage any muscles, so your hip, abs, back muscles weaken. Proper sitting requires you to engage those muscles, so it’s work. Some muscles will actually be sore if you’re doing it right because they haven’t been engaged for so long. It’s easier to disengage everything and slouch. So unfortunately there’s no magic chair. 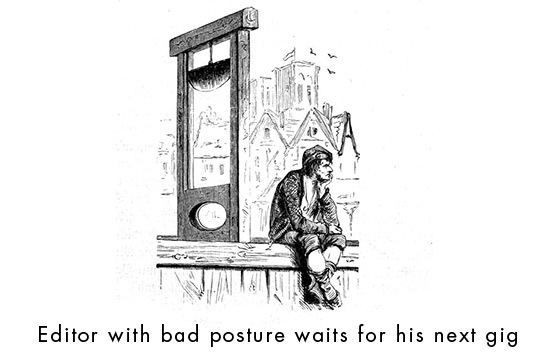 You still have to make an effort to sit correctly. As for buying one… it’s like buying a car, do your research before you get to the dealership. Then it’s just a matter of test driving a couple of them to figure out exactly what you want. It does help to have a salesperson because they can help you configure it correctly. Yeah, but it doesn’t necessarily have to be that way. 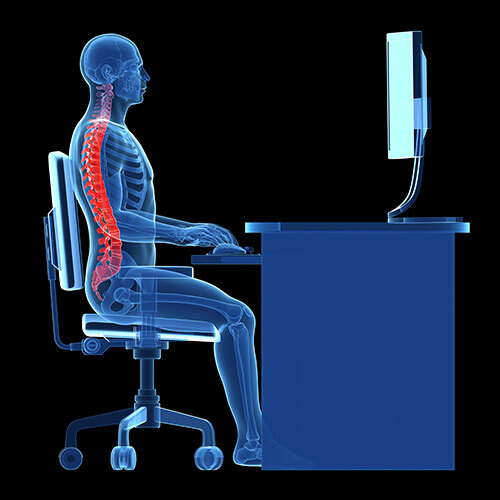 But most of us are invincible until we’re not, so we ignore good ergonomics until we have a problem. But I’m hoping to encourage the conversation so maybe a few more folks take it seriously before they have to. I found almost immediate relief when I switched over to a “ball chair.” My bad habit is crossing my legs, which pulls on the side of the higher leg from my glutes through my lower back, on that one side. The balance required to sit on the exercise ball forced me to keep my feet on the ground. I figured out how to slouch, but it feels more awkward that slouching in an ordinary chair so I can catch myself sooner! That’s great. I haven’t tried one but may do so. I think the trick, regardless of the chair, is ‘active’ sitting, where you’re forced to slightly engage your muscles and do a bit of work. Versus what we normally do… just falling into the chair and letting it completely support us.